The changing of a year is often a time of reflection and rededication. It’s a time to reflect on and analyze events of the previous year and rededicate ourselves to becoming the best we can be. It’s a time to remember accomplishments and set goals for the coming year. As I reflect on what LearnKey has accomplished in 2014, I realize that LearnKey and Better Learning Systems have had a very busy year. Very busy, and very productive. Early this year, we began updating the design of the LearnKey website. This design update was an extensive process and was implemented a page at a time over the course of several months. The initial design was developed by Colin Bell, who left the company in February to pursue freelance web design work. Over the next several months, I created variations on Colin’s design to bring the remaining pages on the website into harmony with the finished pages. Also in early 2014, Better Learning Systems developed an educational grant program to provide LearnKey courseware at a discounted rate for individuals who qualify. Our goal with this program is to provide assistance to those who need help in reaching their educational and professional goals, helping them gain the skills they need to succeed in their careers. In February, LearnKey attended the Career and Technical Education (CTE) Recognition Ceremony put on by the United Federation of Teachers (UFT). 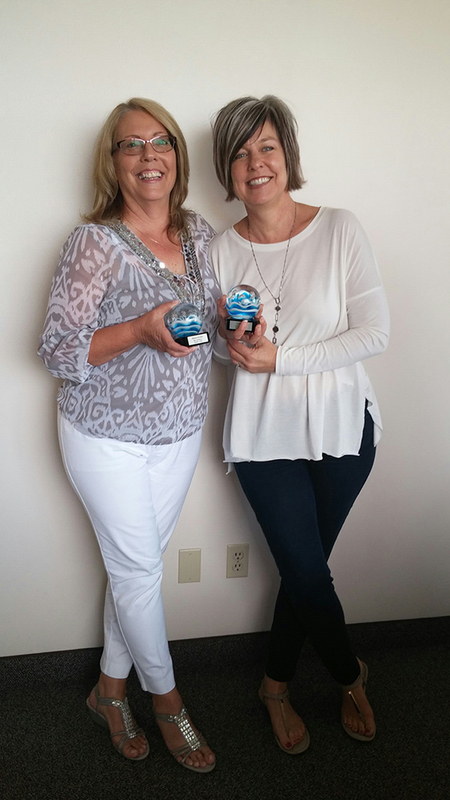 Alex Bell and Emma Mendez, two teachers who have worked closely with LearnKey over the years, were both honored at the ceremony. In March, LearnKey courseware was approved by the New York State Department of Labor and added to the Eligible Training Provider List. To be included, LearnKey courses were subjected to a review process to ensure they complied with the high standards set by the Department of Labor. In June, as we began to wrap up the new website design, a new feature was added to the LearnKey website. Website users now have the option of engaging in a live chat with members of the LearnKey Client Services team. In a much-needed move, LearnKey announced the retirement of a large number of obsolete courses in July. In order to make the transition easier for users, the courses on the list are no longer being sold but will remain active on OnlineExpert until January. 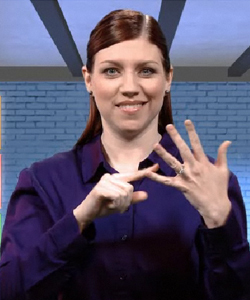 Also in July, we released our first course presented in American Sign Language, Word 2013 ASL. Presented by certified ASL interpreter Amelia Williams, this course represents LearnKey’s latest attempt to improve our product and make it more useful for users. 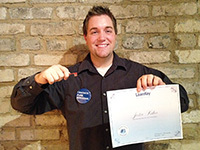 In August, LearnKey Veteran Services’s Blue Ocean program began showing results with the graduation of Tristan Roberts. While in the Blue Ocean program, Tristan earned certifications in CompTIA’s A+, Network+, and Security+, and Microsoft’s Word, Excel, and Outlook. Upon graduation, Tristan was offered a job at LearnKey and is now a member of our Veteran Services team. 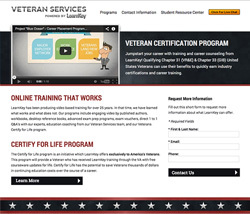 In September, we updated the design of the LearnKey Veteran Services website to match the design of the main LearnKey site, including the live chat option. We also added a new Student Resource Center for Veteran Services students. The Student Resource Center includes support information, LKVS contact information, and links to our monthly LKVS newsletters, certification pocket guides, and weekly tutoring sessions. In October, LearnKey attended the Arizona Business Leadership’s “Heroes for Hire” event where we were recognized by the ESGR for our efforts in hiring veterans. LearnKey has employed many veterans over the years and promises a job offer to any veteran to graduate from our Blue Ocean program. Over the course of the year, LearnKey has been working on an application with the Project Management Institute (PMI) to be recognized as a Registered Education Provider. 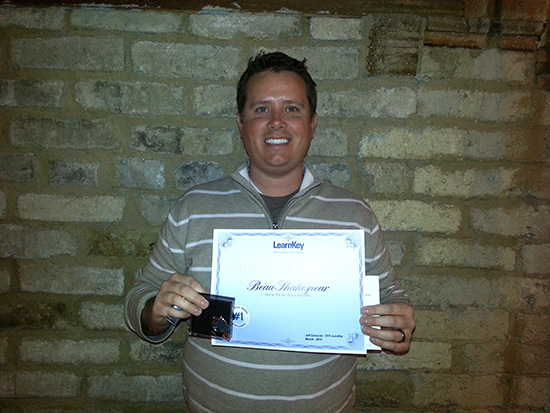 In October, LearnKey’s application was approved. This means that LearnKey’s Certified Associate in Project Management® 2014 and Project Management Professional® 2014 Certification Prep courses have met the PMI’s rigorous quality criteria. By anyone’s standard, I would say 2014 was a fantastic year for LearnKey. In addition to the nineteen new courses we’ve released, LearnKey has updated our websites, been recognized for the quality of our products, and instituted several new programs to further education. We are meeting our goal of helping people fulfill their dreams through better learning, and LearnKey plans to continue our mission in 2015. If you look at the About Us page on our website you will see the mission of not only LearnKey, but the entire Better Learning Systems family – “Dreams Fulfilled Through Better Learning.” As an online education company, we know that obtaining and maintaining your education is important. Earning industry certifications can provide you with the skills you need to land your dream career. It is also important to keep your skills sharp and updated with the most current certifications. For those of you who fall in either of these categories, you know that both of these goals require a great amount of time and money to complete. Earlier this year the BLS team developed an educational grant program designed to provide LearnKey educational courseware at a discounted rate or at no charge for individuals who qualify. Our goal with this program is to be able to provide assistance to those who need some help in reaching their educational and professional goals. With the Bureau of Labor Statistics predicting a 30% increase in programming, software development, and other IT-related fields, it is more important than ever to enter the workforce as a certified, qualified candidate with the confidence and skills you need to succeed in your career. For more information or to apply for this educational grant program, visit the LearnKey website or download the Better Learning Systems Education Grant application here. Everyone at LearnKey is committed to providing the best in online video courseware and is excited to be able to lend a hand in getting your dreams fulfilled. Quick Learner, Efficient and most importantly Team Player! 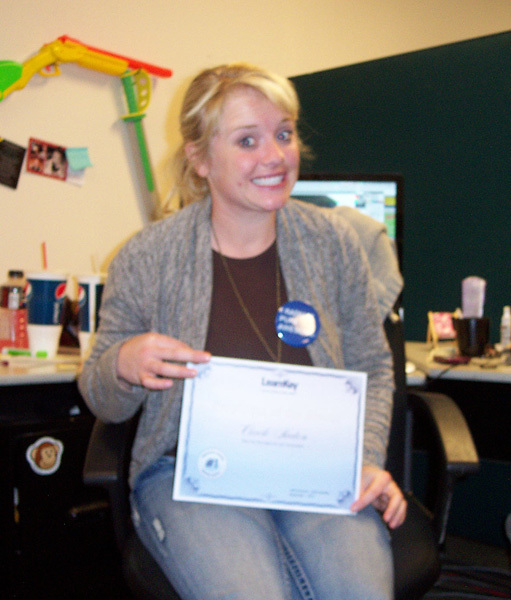 Those are the words that describe our Better Learning Systems newest employee of the month: Mrs. Katie Kuether, someone who not only demonstrates our core values to her team, but other teams within the company. Katie has been working in our client services team for almost a year now and plays a key role in making sure all the school districts and student files are loaded and ready come the beginning of school season. 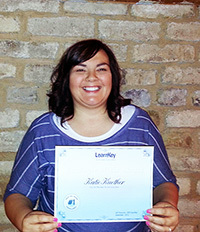 Katie has demonstrated her ability to be a quick learner and very efficient, as this is truly a role in which you “learn as you grow” into the position. 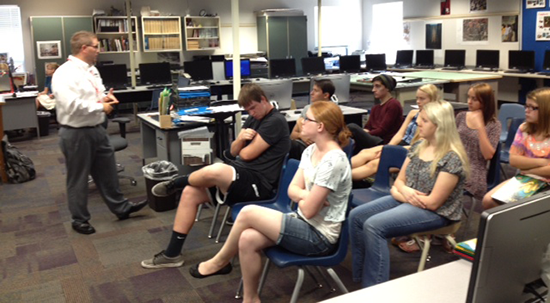 As school starts, the most important part of the process is on boarding students and teachers. She fields all kinds of calls ranging from how to sign in, run a report, or save a file to our Learning Management System (OnlineExpert.com) and even troubleshooting. 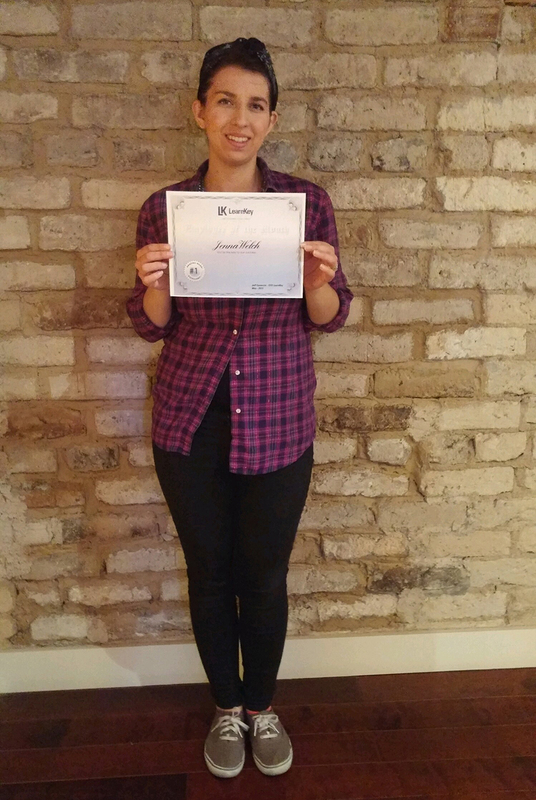 “Katie has been with the company almost a year and it has been my pleasure to have her as a part of the team. She has been so easy to work with, and has taken on a role that encompasses both a part of accounting and client services. She has excellent customer services skills and asks all of the right questions when given a task. 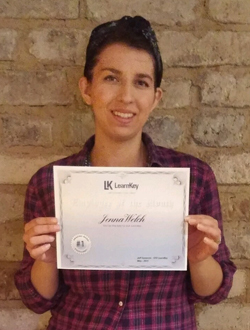 Most of the work with Client Services cannot be trained and added to a manual and you learn on the job and as you go, Katie has done an excellent job of jumping in and going with whatever she has been given”. Peanut butter and jelly with Cheetos. I don’t even know what kind of car it was; I just know it was a very yellow station wagon. My favorite is Kim’s phrases “OH BUDDY” and “Yeah weird”. My mom and grandma passed away when I was 21, so if I could I would love to have dinner with them again. Congratulations to Katie for this accomplishment and we are so fortunate to have you as part of our team. Warm Regards and ’til next month! “A” Players- They work at it all the time! At Better Learning Systems we recently announced the formation of an “A” Team within our LearnKey company who will lead strategic sales in our K-12 vertical. While we are very excited about the group during one of our conversations with a LearnKey team member Justin Walker ( a new member all of 8 months) explaining the realignment details we asked him if he had any questions. He answered “Yes” How can I be a member of the “A” team? The best part of all was when Lori and I heard that response- we both looked at each other and said that is EXACTLY what we expected to hear from Justin. That’s because “A” players work at it all the time and Justin is quickly becoming an “A Player”. He is willing and able to do whatever it takes to be a good team player for the right cause and working his “tail off” (small inside joke). It is with great pride we announce that Justin Walker is our most recent November/December employee of the month. Over the past eight months Justin has worked extremely hard to learn the elearning industry, the “ins and outs” of selling to the education market, and most importantly do whatever it takes to be a great team player. He has demonstrated our core values making it Easy for people to work with him because he is a good listener. Second, he is quickly learning the importance of understanding what Value he can bring to not only his external customers but internal team members as well. Third, understanding the importance of patience while he builds his pipeline knowing that it takes time to build Trust, which is the trigger to successful partnerships. There are a variety of different definitions around being a team player, but the one that stands out to me recently is the one demonstrated last month by Carole Heaton in our LearnKey video production office in Cedar City, UT. It is what made her our employee of the month for September 2012. Our team has just completed the roll out of: A+ 2012, IC³ GS4 and our Career Readiness bundle of courses (14 in total). At the last minute, we identified several ways to enhance the learning experience for A+ 2012 which meant we needed people to work overtime. When we needed help the most to meet our deadlines, it was Carole Heaton who stepped up big time. Everyday in some way shape or form we communicate about our core values – Ease, Value and Trust. Carole clearly demonstrated all three of them by making it easier for us to meet our deadlines, valuing the importance of these courses and what it meant to get them out on time, and trusting the broader team that these improvements did merit being implemented for the benefit of our customers/learners. I thank you Carole for all your efforts.